Looking to add something unique, quirky and a bit different to your next event? Then why not consider adding a GIF Booth to your next Perth photo booth hire? 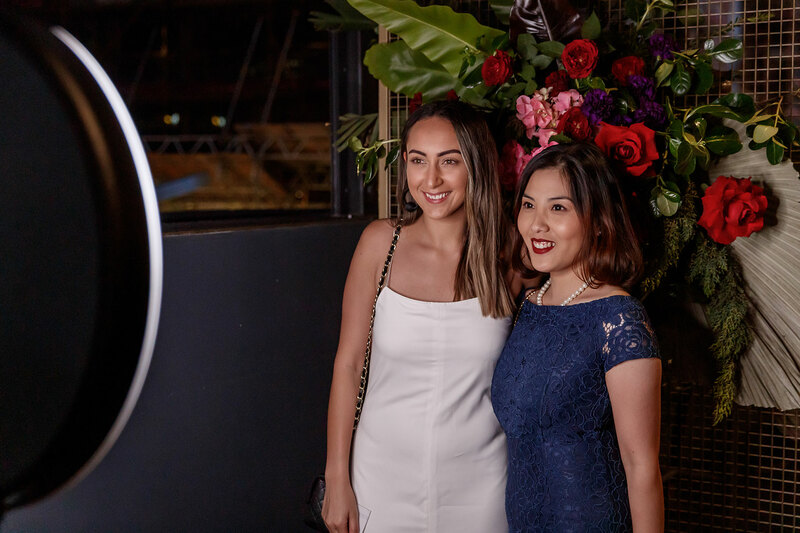 Our GIF Booth’s feature the latest in photo booth technology creating an engaging digital experience that seamlessly integrates with your event and brand. Whether it is a corporate event, brand activation, wedding or formal occasion, a GIF Booth will have guests in fits of laughter creating short boomerang videos of themselves to share via their social media channel of choice. So what is GIF Booth? A GIF, or Graphic Interchange Format, is a bitmap image format that was developed by US-based software writer Steve Wilhite in the late 1980’s according our friends at Wikipedia. Basically, A GIF (pronounced ‘JIFF’) is a number of photos, compressed and in quick succession to produce a short, quirky and fun animation. GIF’s are all over the internet and great fun, providing a perfect opportunity to brand a short piece of viral content that your guests can share via email, Facebook, Instagram or Twitter. You may have also seen a Boomerang GIF which is a short video that plays back on itself in a loop – these are great fun also and available with any of our Perth GIF Booths. I think I want a GIF Booth… but how to I share a GIF? 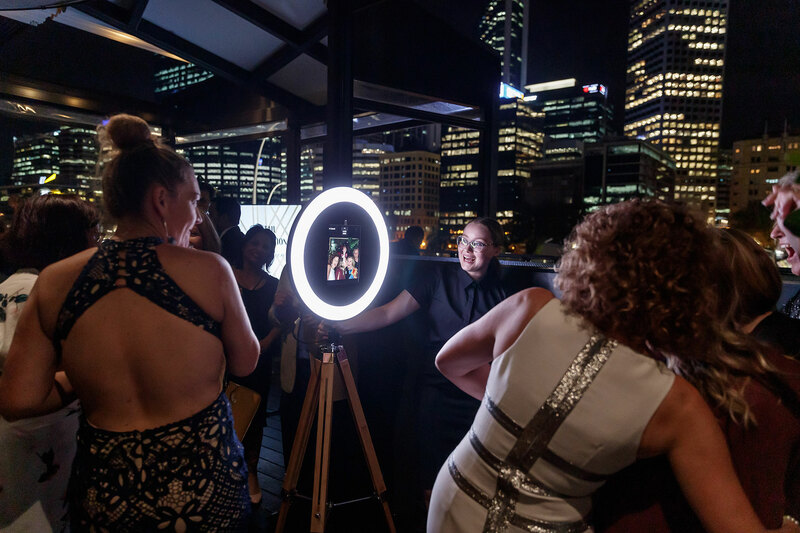 With each Perth GIF Booth hire, you will get access to the latest in photo booth technology that allows guests to email or SMS themselves the GIF’s from the GIF Booth in real time. You can then share the GIF’s to various social media channels where your brand of event logo will take centre stage. If you are in the marketing or brand activation space then you will be amazed to see people queueing up to willingly give you their email address to gain access to their GIF’s to share. After your event you can also receive the email addresses to follow up your guests as you see fit. Click here to read how the GIF Booth was a hit at the Roche Educators Day organised by ASN Events. GIF Booth’s feature the latest in photo booth technology creating an engaging digital experience that seamlessly integrates with your event and brand. $20M Public Liability Insurance and test and tag compliance which is a requirement of many Perth venues. 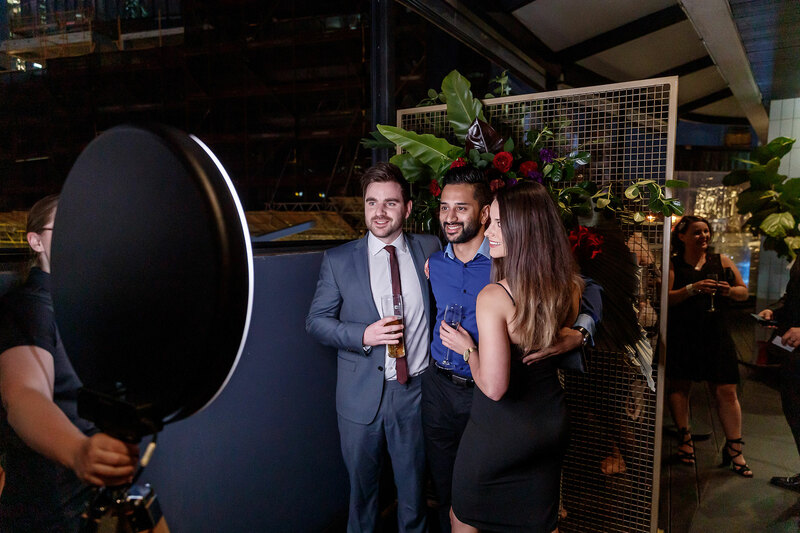 As a GIF Booths takes up only a small footprint, we can easily set up during an event virtually unnoticed if you were after a shorter booth time of say 2 or 3 hours. To learn more about how a Perth Gif Booth can bring your event to life, or to receive an obligation free quote, simply complete the contact form below and we will be in touch shortly.